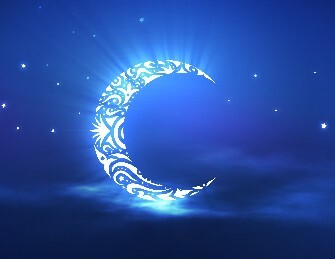 Ramadan is a time for spiritual reflection and is without a doubt the most sacred month for Muslims all over the world. The problem is that if you are training with weights to increase the amount of muscle that you have and your general good health you have to not eat or drink anything between sunrise and sunset during Ramadan. This means that training and dieting certainly can be a big problem for many Muslims. We are not going to be discussing the diet implications here and will only be talking about the different workout implications that you should be aware of when fasting during Ramadan. When training during Ramadan you should not be thinking of gaining muscle or breaking through a plateau or anything intense. Ramadan is a time of spiritual reflection and your objective should be to just maintain the amount of muscle and strength that you have. You should also definitely not train during the day when you cannot eat and drink, that would be completely counter-productive. This means you either need to find a 24 hour gym near where you live or you need to do body-weight exercises at home to make sure that you do not lose any precious muscle that you worked so hard for. This probably means that you will be training latter at night and you should not be thinking of any serious training and breaking any records that you might have in your training journal. It is just maintenance that you need to concentrate on and nothing else. It is therefore recommended by the experts that you only train three times a week even if you have been training on a split or a double split routine you need to slow it down to only three times a week. Below is a Ramadan workout routine that you could use to make sure that you do not lose any muscle during Ramadan. To learn more about the best bodybuilding workouts checkout Muscle Express Training.